While heavily immersed in clay, paint, and plaster today, I realized something. It seems I've come full circle. The very first handmade item I sold was made of clay. I sculpted a human hand in grade school, and sold it at an art fair. 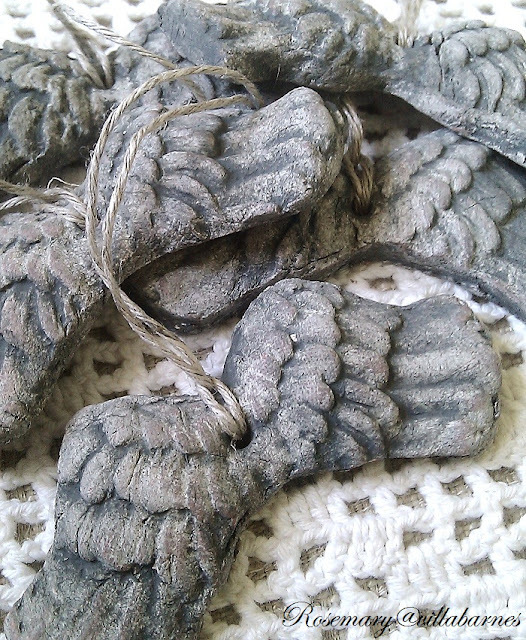 Now, here I am, decades later, taking orders for handmade items I created out of clay. terracotta clay works really well as a base for my "Old World" finishes. 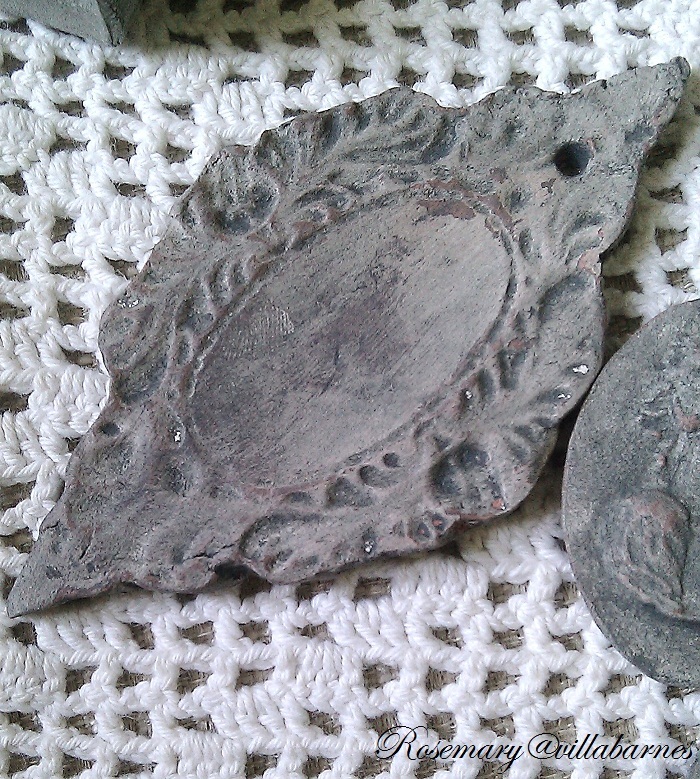 but I love that extra hint of color terra cotta adds, after I wipe back the finish a bit. I'm truly grateful for those of you who have encouraged me to continue working with clay. It has helped me rediscover one of my earliest loves. I have more to finish. What an epiphany to come full circle. Your clay pieces are truly works of art. 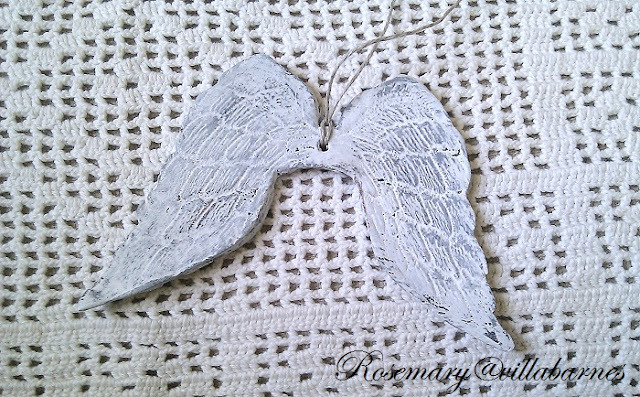 What gorgeous pieces you create out of clay, Rosemary! Your pieces are just exquisite! I'd like to have about 30 of them!! You are so very talented. 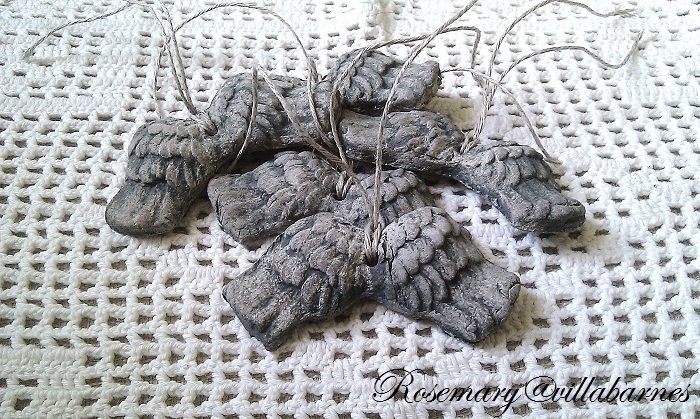 Rosemary, these are beautiful pieces. I spy a fleur de lis in the mix! LOL! Rosemary...coming full circle is a good thing...I love your angel wings!! I so love your clay items--and it makes it even better you are having fun with it! Rosemary what beautiful pieces! Always follow your heart it will lead the way! How cute that you were an artist as a child. funny how we really don't change that much, even though we think we have. You do the most beautiful work - and I must say, you are so productive! The cameos are charming. I also like the unpainted clay. love your old world finish, and those little pieces of women's busts are great! 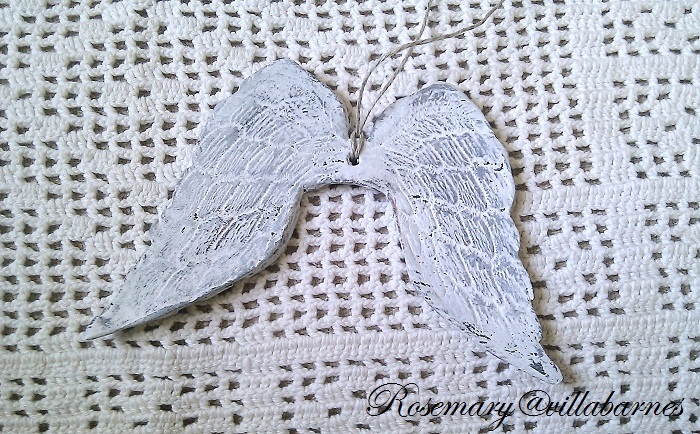 Rosemary, I love this sweet circle and your clay pieces! You never cease to surprise me with your scope of talent. So nice. I love the aged look. That is wonderful my friend you stuck with it. Those are going to fly like hot cakes. we always go back to our "first loves." these are so beautiful!! do you buy your molds or make them yourself? kiln? tutorial??? 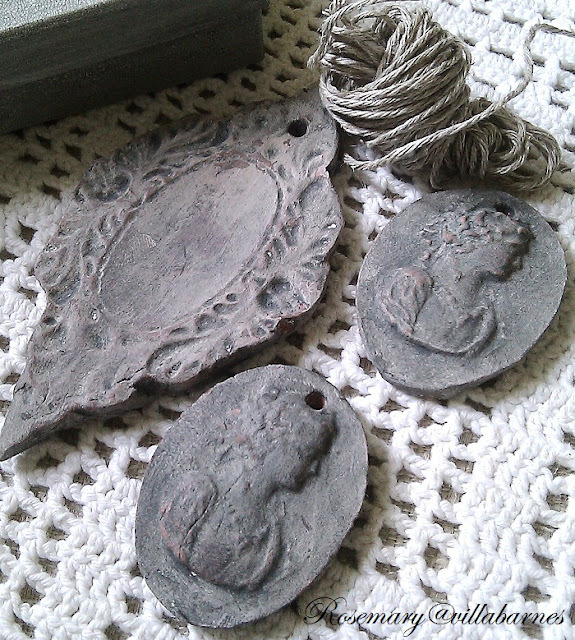 I love your clay pieces and love your old world finish on them. gorgeous! Your clay pieces are gorgeous! You're right about the terracotta. The warm colour looks lovely through the patina. I have to say, I like the terracotta ones 'raw', too. 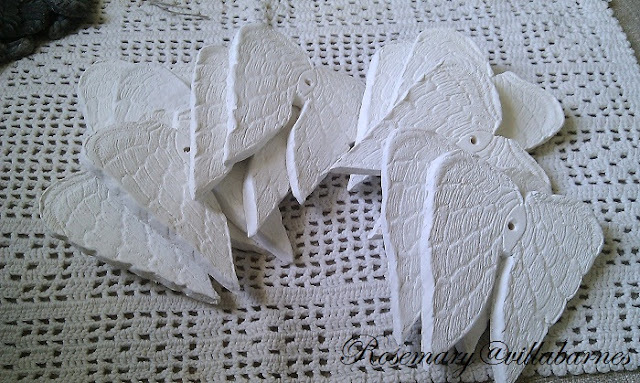 I think your clay angel wings would make beautiful Christmas ornaments for the tree or packages. I just can't believe all the things you KEEP CREATING!.!.! 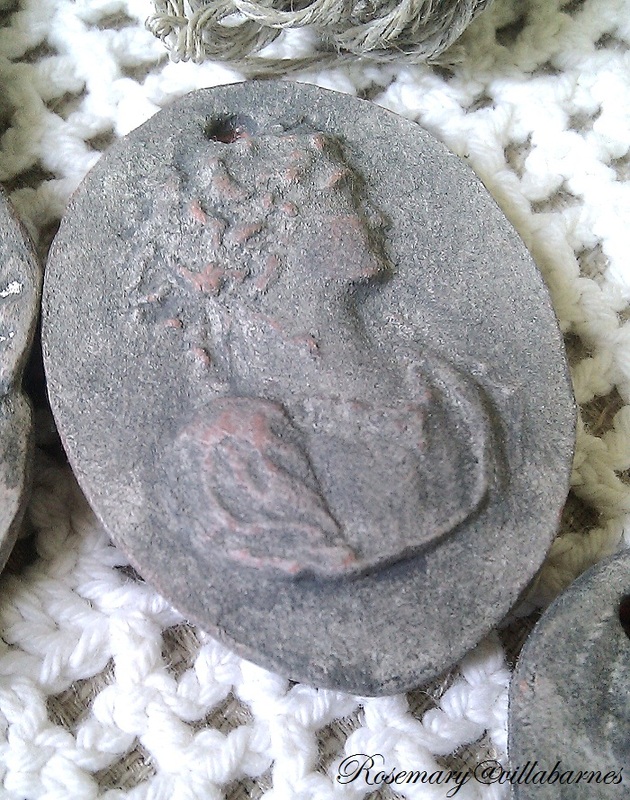 These are very pretty, Rosemary--the cameos look like relics--love them! Beautiful! True passion never leaves you and will always come full circle... Congrats! I love your creations! 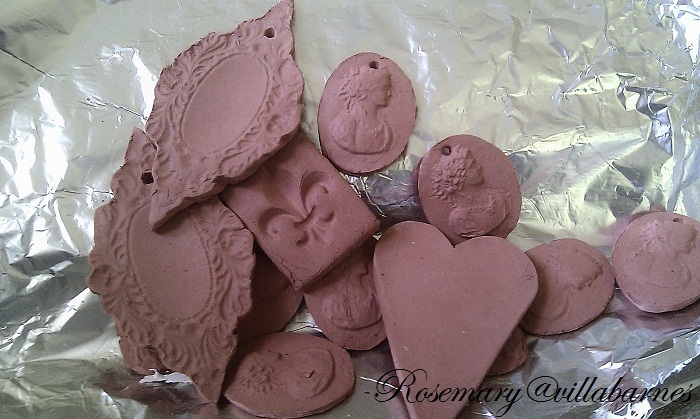 Playing with clay is great, I took up pottery lessons for two years. Very, very beautiful! I am your newest follower and craving more! Absolutely Beautiful! 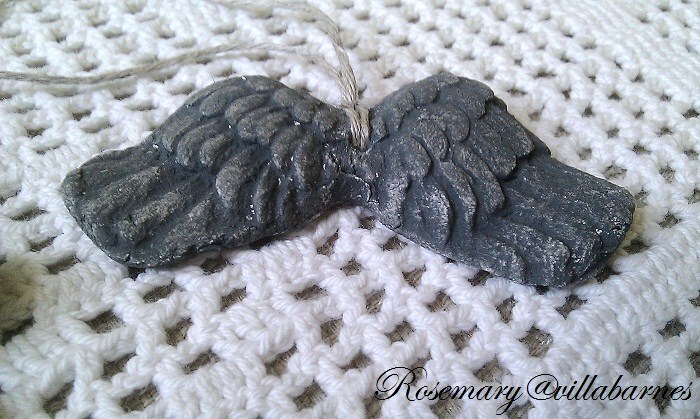 I love the angel wings and the terra cotta pieces. I think that it is wonderful how you came full circle since grade school. I felt that way when I had interior design and art class in high school and now use the knowledge to decorate my home and sell items.